For another meeting of 5 Star Foodie Makeover group, the topic is meatballs and I thought I would think outside the beef, veal & pork box and play with goose. As I searched for some goose images for the post, I found an intriguing game that I had to share with you –– Game of the Goose. A roll of the dice takes you further on the board if you hit a goose image on your throw. I'd never heard of it, but as you can see Lord Byron referenced it most deftly in his poem, Don Juan. 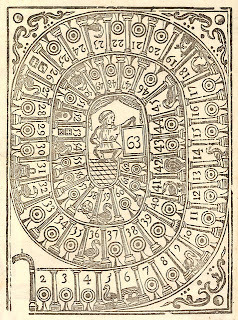 It was a popular game for a very long time and the game boards are just fabulous. 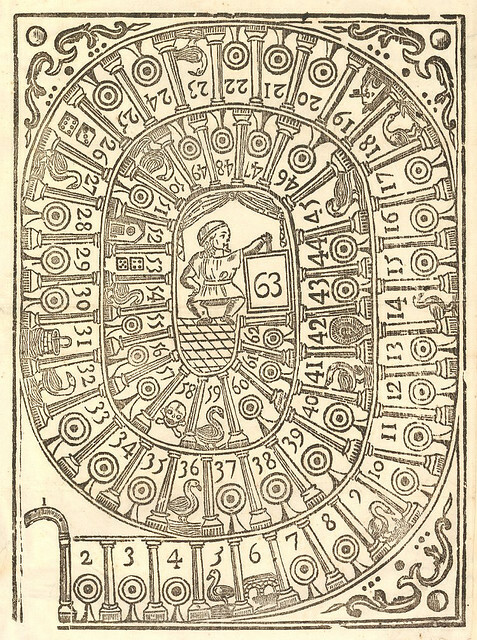 The game has been played for at least hundreds of years but its roots go back to the 2nd Millenium BC's Phaistos Disc, nearly as far back in history as the meatball itself! Enough about games, we're here to talk about meatballs! It doesn’t take a food historian to figure that there have been meatballs since the dawn of forever. I am sure they evolved when some canny cook, faced with unchewably tough meat, chopped it or smashed it, rolled it and stuck it on a stick to roast. I imagine the concept was well received and the rest is, well, history. I checked the 4000 year-old Yale clay tablets and couldn’t find them there (although only a few tablets have survived… the meatball chapter could have been broken) but they are all over Apicius and in the Baghdad cookbook going back around 1500 years. Meatballs are all over the cuisines of the European and English Renaissance, in India, the Middleast and Africa. You name the place… there are meatballs. Meatballs aren’t just for your tomato-sauced spaghetti either, there are a million different kinds made from just about anything. Interestingly enough, Apicius (you can read about it HERE) is full of meatball recipes and many of them are made with fowl. There is a whole chapter devoted to ‘minces”. Apicius even uses the technique of adding softened bread to the mix, albeit soaked in wine rather than milk. The Food Timeline interpreted a line in Apicius to mean that with ground meat peacock is the best, followed by rabbit, lobster, chicken and pig, in that order (when I read it, I wasn’t so sure it only meant ground meat… but that’s me). There are indeed meatball recipes for all of them (come on, don’t lobster meatballs sound interesting?). No goose perhaps, but peacock is a flavor-cousin. I was going to make goose meatballs. I posed this concept to Jim Schlitz when I saw him a few weeks ago on his visit to NYC. He is the owner of Schiltz Goose Farm in South Dakota. He sent me a 10-pound package of trimmings to make into ground goose meat. It is easier to do if you use their goose breast that's 1.5 - 2.5 pounds with no waste (almost no work at all that way). Divide the meat and fat up to get the right proportion, cut it into chunks, and freeze it up for an hour and then put it through the meat grinder twice (large and small disk in the Kitchenaid—but you can use your food processor and pulse it to grind). 7 ½ pounds of the trimmings gave me 3 pounds 9 ounces of meat. What happened to the other 2 ½? Petunia, the St. Bernard, ate 2 ½ pounds of raw goose!! She is so in the doghouse for stealing the meat off the kitchen table –– gives you an idea how good the goose is! 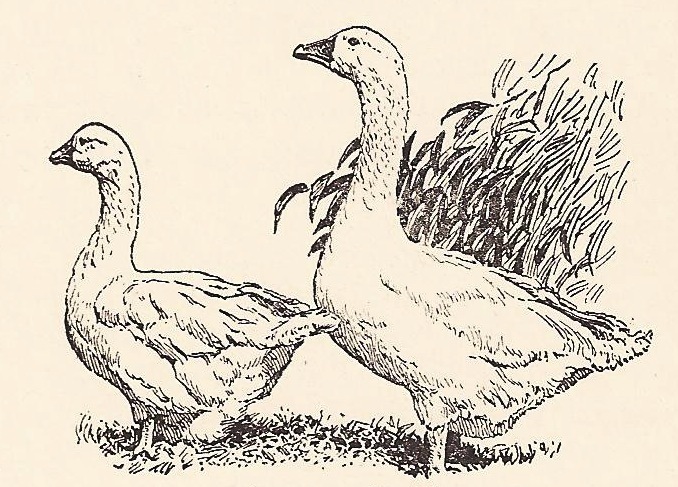 I looked to a favorite source for how best to work with ground goose. Hank Shaw at Hunter Angler Gardener Cook is a wizard with goose and game (you need to buy his indispensible book Hunt, Gather, Cook –– I use it all the time when I’m doing game). His goose sausage had lovely spicing, with wine, 5 spice, sage and juniper and he had actually made duck meatballs… I thought I would use some of his methods. I used a combination of meat and goose fat (and rendered the leftovers for more delicious goose fat for my freezer). I then combined it with a little ground pork to make my meatballs. Another thing that I wanted to use, based on old Apicius sauce, was fig. I had just used a little fig jam in a sauce for a beef stew and found the result a delight… and we all know how good those meatballs are at Ikea with lingonberry. Meatballs really go well with a bit of sweet fruit with them! If you make these with ground chicken or turkey they are easy as could be. If you grind the meat… it’s a recipe that takes time, but isn’t hard. The glaze is delicious. You can serve them over noodles or as an appetizer on a skewer or with toothpicks. They were also great on focaccia with a little St. Andre cheese. 1 clove garlic, minced or put through a press. Cut the meat and fat into chunks and freeze 1 hour. Put through the meat grinder twice, large and small disk or pulse a few times in a processor till ground fairly fine. Skip this step if you are using ground chicken or turkey thigh meat. Put the bread in the milk and let sit till bread becomes like a paste. Whip up the eggs and add the liquors and the bread. Combine the rest of the ingredients and mix well, then mix with the meats. Put the mixture in the food processor and process a few pulses… it will look a bit messy, but don’t worry. Put back in the fridge to chill… this also makes the flavors come together. After an hour, make into meatballs and put back in the fridge. Warm the oil in a large skillet and brown the meatballs on all sides over a medium flame. Cook the meatballs till done and remove from the pan. While the meatballs are cooking make the glaze. If you want to serve with the cream sauce, pour off most of the fat from the pan and sprinkle the flour in the pan. Slowly add the stock and stir as it thickens to a paste, stirring all the while. Keep adding stock, stirring all the while till you have a good sauce, add the cream and taste for seasoning. Roll the meatballs in the glaze to warm and coat. Serve with the cream sauce on the plate if you would like, or toss the cream sauce with fresh noodles or serve as an hors d’oeurvre with toothpicks or as a snack on bread with a little St Andre cheese, warmed for a melting minute in a toaster oven. Take the reduced chicken stock and add the fig and madeira, s & p to taste. Warm up all the ingredients (if you want to be fancy, you can strain it at this point). Roll the meatballs in it to glaze. Meatballs on warm focaccia with melted St. Andre cheese - perfect for the Superbowl! My mouth waters...and I'm inspired to get in the kitchen and make meatballs! Lovely presentation(s) too. What's good for the goose is good for the gander-- what gorgeous color! The spices in these sound so good! I'm afraid I'll have to use ground chicken though. Okay, first of all I LOVE the title and that you drew inspiration from Byron!! That is so you. And I cannot possibly be expected to choose form among these serving methods you have presented, they all look so amazing. A bang-up job as usual. I bet even pork would work.. 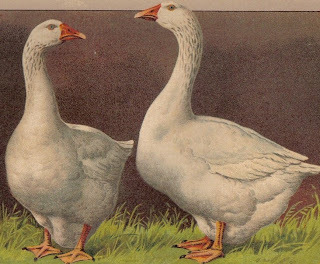 Goose is so popular here..A delicacy..I bet these are delicious I like the sound of the glaze a lo too..The presentations are so appetizing too. I had never heard of that game.. I need to get invited to your house for the Super Bowl. I'm pretty sure there won't be any goose at the party I'm going to. Meatballs are the new cupcakes and these sound like a delicacy! What a wonderful recipe, Deana. Excellent, I love that you made meatballs with goose! The additions of Cognac or Armagnac and fig jam are very neat. The game is interesting, I have never heard of it before. 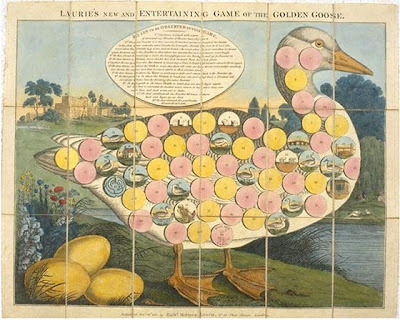 Fun to read about Game of the Goose. What a variety of topics we learn about on Long Past Remembered! Hank Shaw is talented, brilliant with game and I love his posts...still have not bought the book. And here I come from a long line of Michigan hunters, too; did a lot of bird hunting when I was younger. Think I will put that book on my wish list and perhaps one of the kids will give it to me. 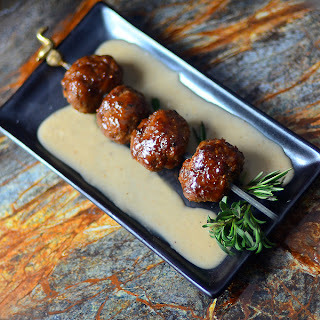 These are amazingly flavorful meatballs, Deana; great choice for 5 Star Makeover. The ingredient list alone made my mouth water. The madeira/fig glaze is the perfect touch. While using goose must have been great fun, this is doable for anyone substituting turkey or chicken. Think the addition of fig was wonderful, Deana. I love fig with poultry and game. And oh my....that last photo. P.S. When you've got a St. Bernard around the house (brave of you in NYC!) you'd have to guard anything on a table or counter! That ground goose was just too much of a temptation for Petunia. Now this is something I can do! I have my own ground duck waiting for inspiration and this might just be it. I love the idea of an amuse bouche size meat ball with any of these ideas. What a lovely meatball creation! Always like to see your contributions to the 5 star challenge group and read your interesting stories. Of course you would. I love the way you think, outside the box. No, actually you take the box and smash it into little pieces. Cream sauce optional? I think I would go ahead and include it. Meatball on warm focaccia with melted St. Andre cheese. Now that is just downright mean. These look fabulous...love this post as always. You never fail to amaze me with your artistic posts. I am a fan of your site and of course of the dishes...More power! Keep posting! Such a refined and interesting lead-in to your elegant goose meatballs! I can't believe your dog ate all that goose meat :( Port, cognac, figs, juniper berries - rich flavors and beautiful color from the glaze, and with cream sauce - Oh my! Always love your blog posts, they provide real "food" for thought! A spectacular meatball result - delicious! The goose meatballs sound wonderful! And I love the adaptation from Apicius as well. Used an adapted version of one of his mariandes for the Christmas venison that was terrific! BTW - meatballs or kofte (koofte etc) go back to SE Turkey to about 1800 BCE and to slightly later in Persia. In Turkey they were traditioanlly eaten raw (as many meatalls still are on the Arabian peninsula) but in Iran were more often than not cooked. Even if its not on the Yale tablet - it was probably enjoyed in Mesopotamia as well. 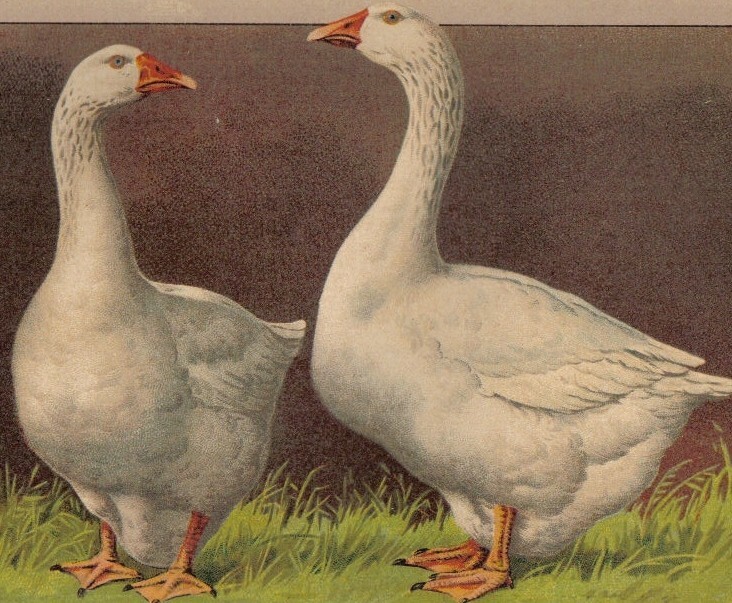 I loved the game of goose bit. My historian knew all about it, though I did not. Agree with other readers that it was a great was to give your dish a cultural anchor in the post. My goodness, Deana. Goose balls and cognag? sounds like a good plan to me. I never had goose meat before. So, I've seen some of us added dates to duck or turkey meat and now you added figs to your goose meat. This is very interesting. I should try to add something sweet other sugar to my meat next time. They look so delectably good! And naughty Petunia although after seeing them I can understand why she went after the trimmings! Game of the Goose sounds like so much fun and you're right, those boards are gorgeous! Love the look of these meatballs, Deana...the spices you used are truly enticing. These meatballs sound delish! Cannot wait to try all 3 ways to serve them! This is the kind of recipe our food lovers on our community page love to see! We’d love if you’d check it out and contribute! http://bit.ly/yI0sZU Cheers! That is a stunning meatball dish and the fig jam sounds like a perfect addition.